Pulsiam has established itself as a leader in the public safety software industry since 1986. The company prides itself on tailoring its SafetyNet product line to adapt to the changing technology of the public safety industry. Hitech and Pulsiam President announced that he will unify corporate identities under one unique name at annual SafetyNet Conference this morning. Los Angeles, CA, September 22, 2016	(Newswire.com) - Henry Unger, president and owner of Hitech Systems, Inc. and Pulsiam S.A. de C.V., officially announced Monday morning that Hitech Systems, Inc. would be dropping its name of nearly 35 years and adopting the name of its international subsidiary, Pulsiam. "We decided it was time to unite our corporate identities under one unique name," commented Unger. "The global public safety industry is experiencing a wave of technological innovation. Pulsiam has been at the forefront of that wave, partnering with cutting-edge applications and incorporating the newest technologies into our public safety and emergency response solutions." The announcement comes at the tail-end of a year that has been focused on developing interfaces from the company's core SafetyNet Computer-Aided Dispatch product to drone technology, smart phone applications for first responders, coordination applications for public safety response teams, and emergency management applications and software. "Right now is an important time for our industry. With all that is happening in the world, the global public safety community is coming together," explained Holly Blanks, Director of International Business Development at Pulsiam. "Pulsiam has long been synonymous with innovation. Countries are tackling public safety differently, through legislation, public education, and technology. It's an exciting time to be involved, and we are proud to bring more than 30 years of public safety experience and our groundbreaking products to the global market." 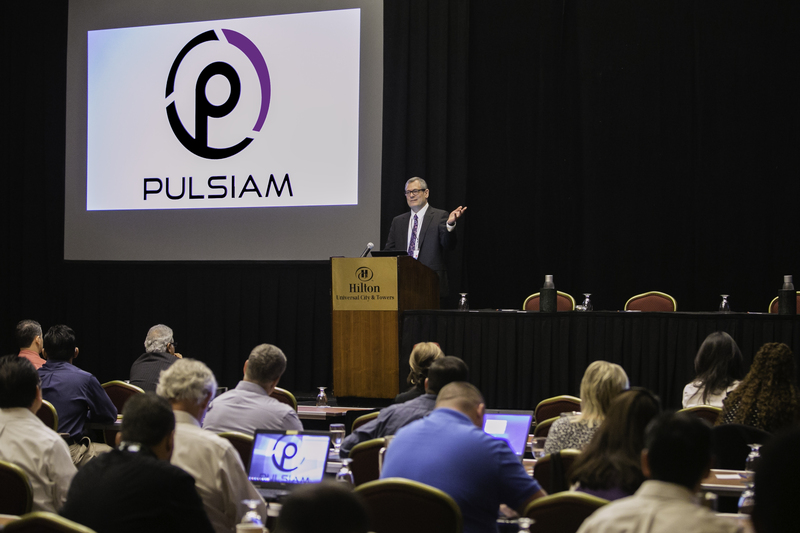 The announcement took place Monday at Pulsiam's annual user conference. The company's customers were enthusiastic about the change. “We are excited about the unification and what it means for us customers. Learning best practices from other agencies around the world is always beneficial. Combining a fresh perspective with the experience of seasoned professionals leads to very creative solutions.” states Mercedes Gagnebet, Directora del 066 Cancún, Estado de Quintana Roo. “We have always turned to Pulsiam for their industry expertise and forward thinking development teams. Adding in global best practices just raised the bar a notch,” exclaimed Kent Ong, Systems Administrator, Claremont Police Department. Sign up for email updates from Pulsiam.